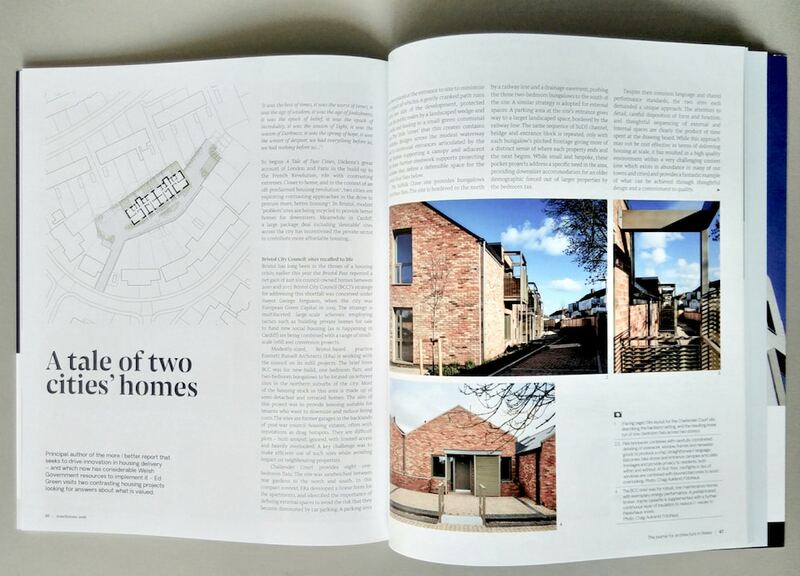 Our Challender Court and Suffolk Close housing projects for Bristol City Council are featured in the RSAW Touchstone Journal this month. The article by Ed Green compares the approaches of councils in Bristol and Cardiff to delivering new housing. ‘The article highlights the Bristol projects as “a fantastic example of what can be achieved through thoughtful design and a commitment to quality”.